First a series of small hurdles. Check in. Security. Train. Gate. Board. Tires just need to be periodically reinflated. And then the big hurdle. I can get over this hurdle. I ask if he wants to listen to music. I offer to read aloud. He switches on the radio. “I don't want to listen to the radio. But not the good kind of talk. It seems I have many shortcomings. I am the reason he has not been successful in Phoenix. I stop him once or twice. Tell him that he is being unkind. But mostly I am quiet. but he does not want food. And stop for the night. and we both go to sleep hungry. Brace myself for another day. He wants me to drive. No, wait, he wants to drive. I can drive after we get gas. No. He is going to drive the whole way. He wants to get there and I drive too slow. And races back across the hotel parking lot. And races into the hotel again. but he is mostly silent. into prairies of Southern Colorado. and then the anger spews forth again. He is silent until we get to Denver. Did you have to take the longest way? I know which lane I have to be in. as he drops me off in front of the airport. I have crossed the finish line. And I am still on the horse. That is its own small victory. is hosting Poetry Friday today. The call comes in as I am finishing my school day. Son #1. I think he is probably calling to remind me to deposit his grocery money, like he does pretty much every Thursday. "Hey buddy. What's going on?" "I want to come home." I think he is ready to take advantage of my offer to fly him home for the long weekend, so that he can spend his 21st birthday with his brother and I. I wonder if I can still get a plane ticket this close to the weekend. "OK, sweetie. Let me see what I can do. You would have to go back Monday morning, right?" "That's not what I mean," he says, this time with a little more urgency. "I want to come home." "You want to come home?" I repeat, a little confused. "I want to come home. For good. I'm done. I hate it here. Football isn't working out. I just want to come home." I am stunned. "Are you sure?" "Yes. I just want to come home. I'm done." "Have you talked to the coaches? "I just want to come home." We talk for a few more minutes. I try to figure out whether his grades were bad and he was kicked out of school. Whether something happened with the football coaches. Or at the apartment building. He will tell me nothing, but he is adamant. He wants to come home. And not just for the weekend. Not just to to talk and try to sort out what is going on. He wants to come home for good. I buy a one way ticket and pick him up on Saturday afternoon with three suitcases. Sometime, in the next few weeks, maybe as soon as this weekend, we will go back and get his car. He says that after we get his car, he will look for jobs. He says he wants to finish his associate's degree. He says maybe he will play football somewhere else. Because sometimes there are just no words. I am greeted by a wall of words the minute I walk into the office. "Dr. Carol, Dr. Carol, look, Dr. Carol. I have a new hat," shouts K, waving her head gear frantically in my direction. "Do you want to try it on?" she says to me. "You can try it." I am used to K's gifts. Last week she offered me a kiss from her Christmas puppy. Earlier today it was a sticker earned in music class. And now her new hat, hot pink with a pop culture character trio on the front. K chatters excitedly as we walk around the end of the counter. She needs something to drink. She wants to play the spelling game (sometimes we practice sight words after school). She doesn't want to practice the hard word (and)we learned today, only the easy ones- see and like and can. And maybe dog. The office is crowded and noisy, like it is most days after school, and I can tell the secretary is having a hard time hearing. I usher K back around the corner of the counter and sit her down on the bench where kids whose parents are late have to wait. K is delighted to join a friend from the other kindergarten class. C is not happy- she -has-that -I wonder-if-I'm-going-to-be-picked-up-and-I'm-thinking- about-crying-just-in-case" look. "Come on, C, you can play the spelling game with us," says K. "I will teach you. We are not doing the hard ones." C's lip trembles. K hugs her. "It's ok. We are going to play the spelling game." K and I play a few rounds. By now, C has decided that the situation is quite serious and started to sniffle. K's auntie walks through the door. C, the last child on the bench begins to cry in earnest. K starts to head out the door with her auntie, then turns around and runs back to give C a hug. "I know" she says. "You can spend the night at my house. We can play." K's aunt protests. "She has to go home with her mother. It's a school night." "She can come with me," K insists. C looks more than a little alarmed. Now not only has her mother not shown up, but it appears that kidnapping by a classmate is looming on the horizon. K's auntie tries again. "She can't come tonight, sweetie. It's a school night. Maybe another day she can come and play." Just then C's mom flies into the office. C jumps into her arms, relieved to be free from her captor. "It's ok, C," insists K. "You can come with me tomorrow." 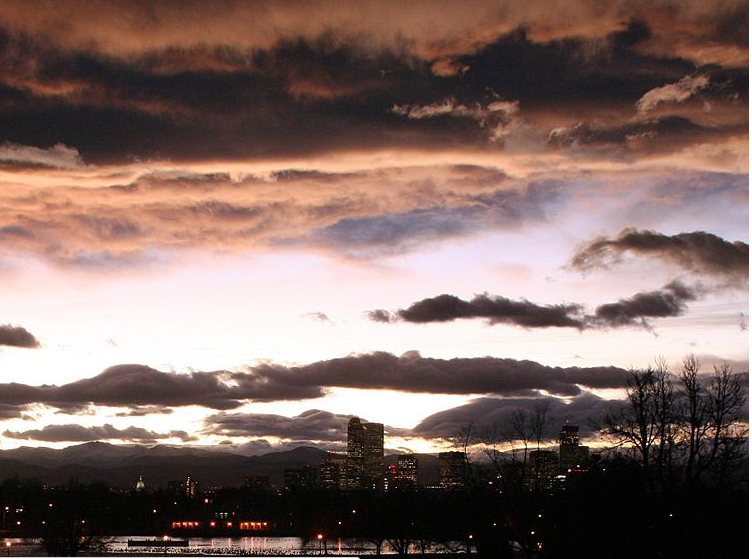 In Colorado, we know about farms that raise corn, and wheat, and sugar beets. But did you know there is also a farm that raises butterflies? 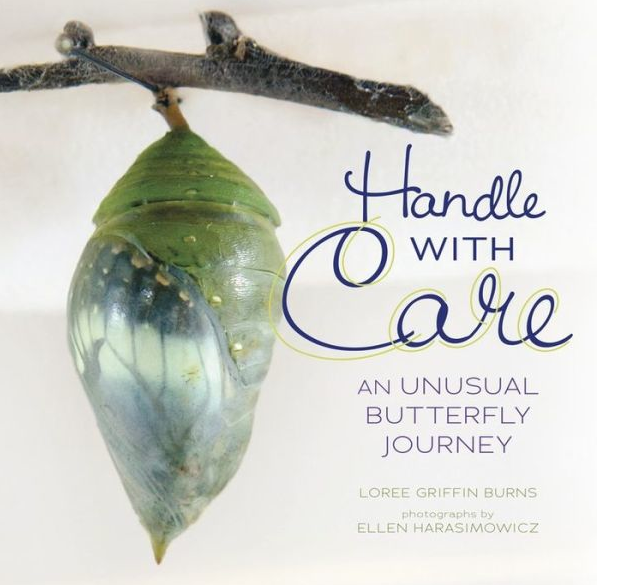 HANDLE WITH CARE follows nonfiction author extraordinaire Loree Griffin Burns and photographer Ellen Harasimowicz as they visit El Bosque Nuevo, a farm in Costa Rica that grows butterflies to sell to museums. Beautiful photography follows the butterfly farmers throughout their daily tasks. A young crop of caterpillars can eat an entire greenhouse in one or two days, so farmers constantly bring in new plants, and also plates of crushed bananas and sugar water for the adult butterflies. They protect the caterpillars and butterflies from birds, snakes, and frogs that want to sneak in and eat their crops. Older caterpillars are moved to a puparium, then the pupas are then packed into special boxes, delivered to the airport and sent to far away museums. It's critical that they arrive at their final destination before this stage of the life cycle ends. End pages include notes on insects and their life cycles (did you know there are three kinds of metamorphosis? ), a glossary, and resources for further reading. 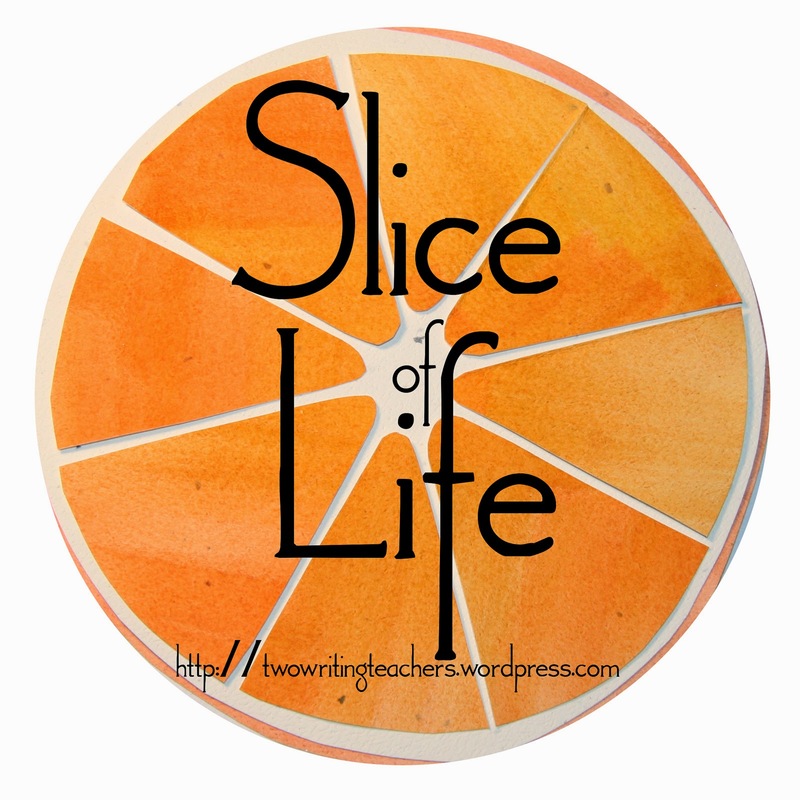 Perfect for a unit on butterflies or life cycles! Read the CYBILS review here. Little brown bats were once among the most common bat species in North America. They are an important part of our ecosystem, eating insects that kill crops and spread disease, such as West Nile Virus. In recent years, however, the brown bat population has taken a huge hit, to the point that scientists are considering whether this bat should be put on the endangered species list. 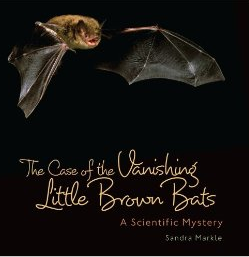 Sandra Markle's newest book, THE CASE OF THE VANISHING LITTLE BROWN BAT follows scientists as they try to solve the mystery of what might be killing the bats. Markle explains how scientists rule out global warming, pesticides, and several different viruses in a way that is not only highly informational, but also story-like and engaging to read. 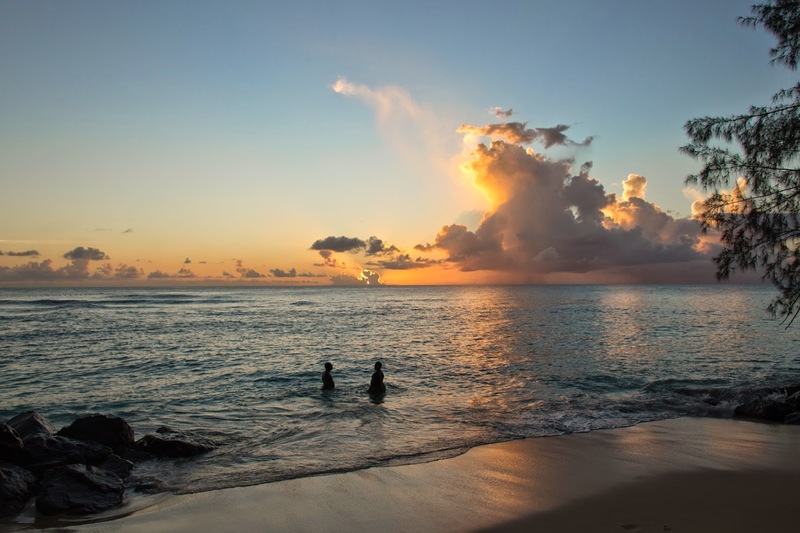 The text is accompanied by gorgeous up-close photography that readers are going to love. End matter include an author's note, fascinating facts, ways people can help in the bat conservation effort, a glossary, and additional resources. Read a terrific review on the CYBILS NONFICTION FINALIST list here. A poem I found in my current re-read, ONE THOUSAND GIFTS, by Ann Voskamp. When I looked at the afternotes to find out where it was from, I thought Voskamp had originally read it in THE SABBATH by Abraham Joshua Heschel. When Tabatha read it, she said it's actually by G. K. Chesterton. I was all set to write to Ann Voskamp to tell her about her error, and then I discovered I had actually looked at the notes for Chapter Four instead of the notes for Chapter Five, so it was me who was making the error! So sorry if I misled anyone! OK, I am going to admit it. I am one of the last surviving people on this planet who has not yet given up my flip phone. In fact, I bought a new one last week. I am a flip phone goddess. It's not an easy title to hold. People make fun of me all the time. My boys, both owners of iphones, refuse to be seen in public with me when I am using my flip phone. When I do playground duty, the middle school kids regularly ask me what time it is, simply so they can crowd around and laugh as I pull out my flip phone. Even my eighty-year-old mother has suggested I might like to upgrade. And I would kind of like a phone with a camera. But the flip phone definitely has its advantages. Take last week, for instance, when I accidentally left my old phone in my pocket. And washed it. And had to get a new phone. For some people, replacing a phone would be a major purchase. For me, not so much. I can usually get my flip phones for anywhere between $5 and $15, depending on which model is available on any given day. I march into the local big box store, like I always do. I know exactly where the flip phones are kept. This week they are on sale. $7.94. Including tax. My favorite part of the whole buying experience is watching the sales clerks watch me pick out my phone. They all kind of huddle together. Elbowing each other. Snickering "Look, here she comes again. That lady that buys the flip phones." I'm a strong woman though, not easily shaken by the opinion of the crowd. I select my new flip phone. March up to the counter. Make my purchase. Request help with the SIM card. The lucky sales clerk that gets to help me is usually shadowed by two or three peers, wanting to get a closer look at the lady that's buying the flip phone. Last week, I ran into a little problem. The clerk couldn't get the SIM card to sync right. He told me I would have to go across the street to the ATT store. So I did. I expected to make another grand societal splash, but I wasn't quite so lucky. A young man who had played basketball with my son was working. "Hi, K's mom. What can I do for you?" he said. I explained my situation. Ty's a nice guy. He didn't even blink, just opened up the back of my new phone and got right to work. It took him about two minutes, then he snapped the back in place, and handed it back to me. "You want me to check and see if you are eligible for an upgrade?" he said. "No I'm good. But thanks," I smiled and tucked my flip phone in my purse and marched out of the store. That might have been the end of the story. Unfortunately, though, a couple of days later, I needed to charge my flip phone (flip phones hold a charge much longer than one of those fancy smart phones!). And I went to get the charger out of the plastic container. And discovered it had accidentally been left out of the package. Or left at the big box store. So I had to go back and repeat the whole experience all over again. March into the Big Box store. Ignore the incredulous looks. Purchase my phone. Request help with the SIM card. Get sent back to the ATT store (I don't think these young whipper snapper clerks know how to work with classic flip phones). That day, Ty wasn't working and the store manager helped me while everyone else watched. This time the crowd included not only the sales clerks, but also several fascinated customers. "You want me to check and see if you are eligible for an upgrade?" said the store manager. "No I'm good. But thanks," I smile, tuck my flip phone in my purse, and walk confidently out of the store, rubbing my tiara. It's not easy being a flip phone goddess. I was really glad, on Wednesday night, to say goodbye to 2014. It was a hard, hard year. In February, my eighty-year-old mom had brain surgery, unexpectedly, and had to move into assisted living. She's always been strong and independent, a go-er and a do-er, a giver to others, and the move has been really, really hard for her, and hard for me to watch. Both my sons are really struggling right now, and that's super hard as well. I decided, then, that my word for 2015 will be hope. Ultimately, my hope is in Christ, and the promise of a life to come. 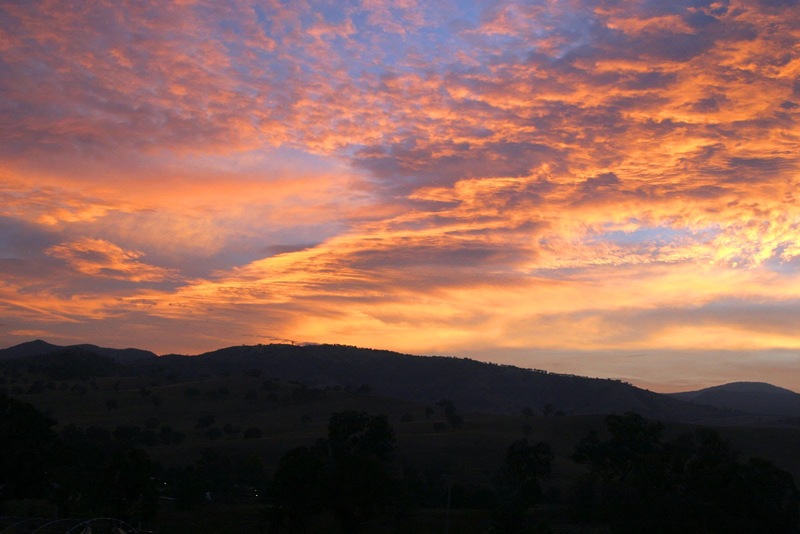 Here on earth, I'm hoping for His perspective-- that all things will work together for good, that He knows the plans He has for me and for my sons, and for my mom, and that He will give me the gifts of peace and joy and wisdom and perspective that I need to deal with everything that is going on right now. I googled "poems of hope" and came across a new-to-me Langston Hughes poem. Given that I am a total morning person, it seemed especially appropriate to start this new year. Enjoy more great poetry at THE MISS RUMPHIUS EFFECT!